Milk Chocolate Fudge swirled with creamy Caramel Fudge makes this favourite taste like Mars Bars. 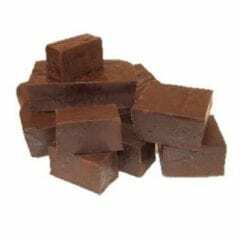 A very rich and dark fudge that tastes just like dark chocolate, but it’s not chocolate! How do we do it? 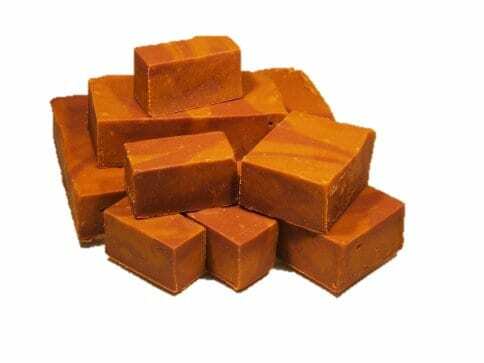 A honeycomb flavoured fudge with no honeycomb added. When honeycomb is exposed to air, it begins to dissolve. 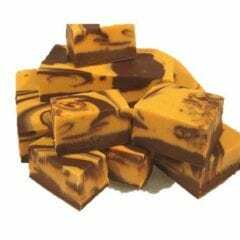 Put honeycomb in fudge, and you’ll soon end up with Jarlsberg Cheese! Anything with caramel is popular. 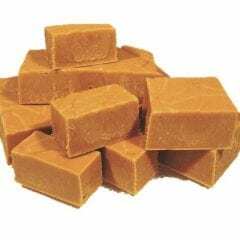 This fudge was created because customers would peruse our vast range, and ask “Do you have just Caramel?” TaDa! Mr. fudgyboombahs favourite caramel.